Bananas are one of the most popular fruits in the U.S., with citizens consuming an average of 25 lbs of them each year. And why not? It's a very handy snack that comes in its own wrapper — just peel and eat. And what about those peels? Most of us just throw them in the garbage or the compost, but maybe we should think twice about that. You can make your teeth whiter by rubbing them regularly with the inner side of a banana peel. If you do this for several weeks, you're sure to notice great results. 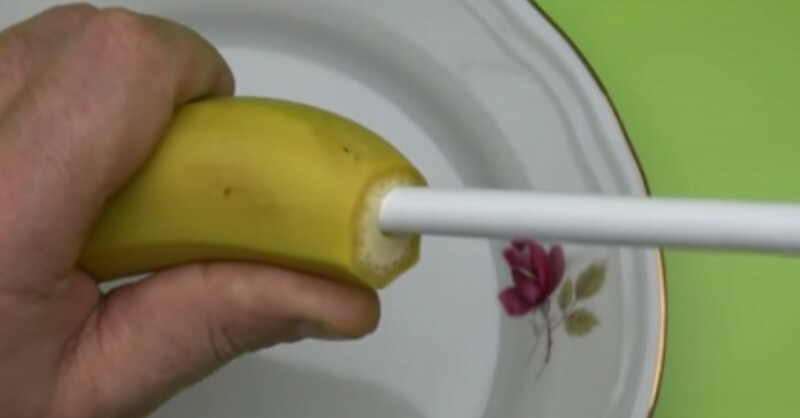 Cut a tiny bit off the end of a banana and stick a straw into the soft, edible part. Next, keep your thumb over the end of the straw and pull it out slowly. The pressure will cause the banana in the straw to remain in and be pulled out forming a "shaft" in the banana. Next, you can fill the shaft with warm jam, Nutella, honey or whatever you can get into it. Now that's a tasty banana treat! If you don't have any shoe polish at home and you need to spiff up your leather shoes, just rub them with the inner side of a banana peel and polish with a clean, dry cloth. This works on the same principle as leather shoes. Just rub with a banana peel and polish to a shine with a dry cloth. 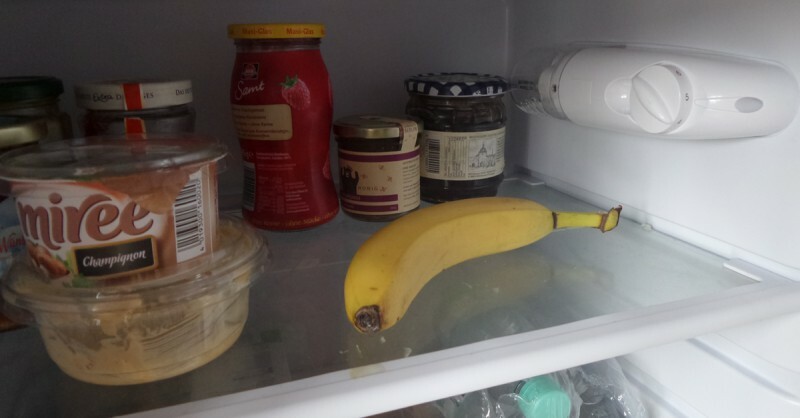 You can keep bananas fresher for longer periods by putting them in the refrigerator. The peel will turn black after a while, but the inside is still as fresh as the day you put it in there. You can relieve the discomfort of mosquito bites, stinging nettle and other skin irritations by rubbing the inner side of a banana peel on them. 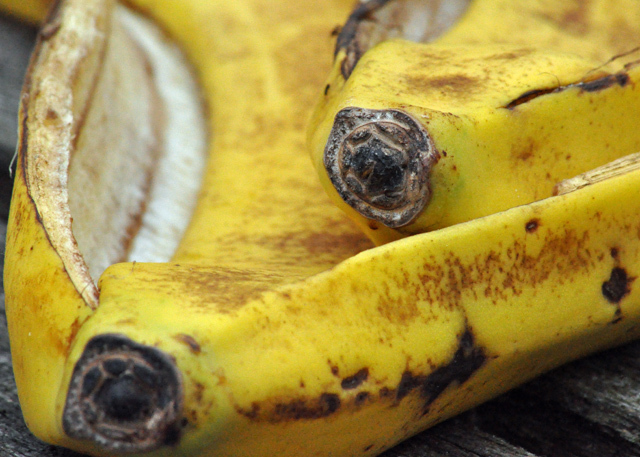 Banana peels are also good for other skin problems like acne. 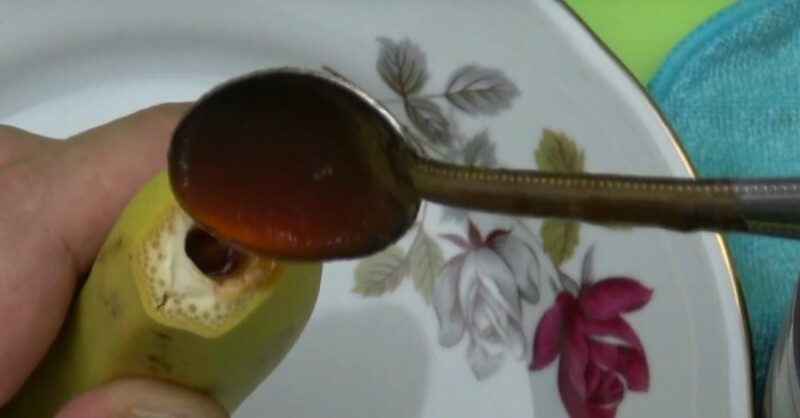 Again, simply rub the inner side of a banana peel on the affected area for amazing results. Bananas can also help with your gardening. To get rid of pesky aphids, simply scatter some finely-chopped banana peel around the affected plants. 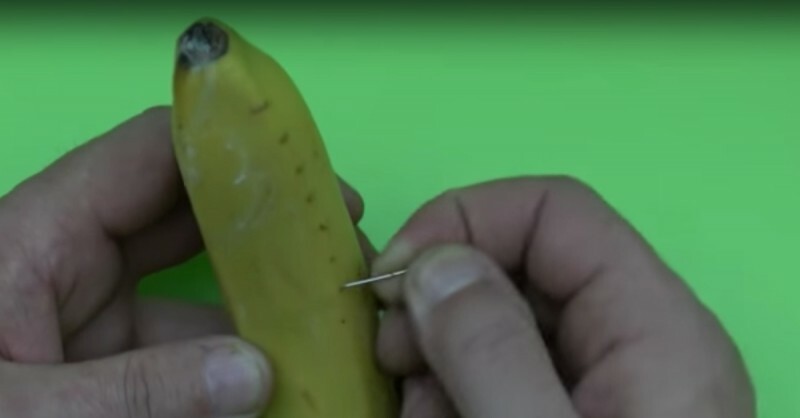 Use a needle to poke a small hole in the banana and then wiggle it sideways to the left and right. Repeat this along the entire length of the banana. 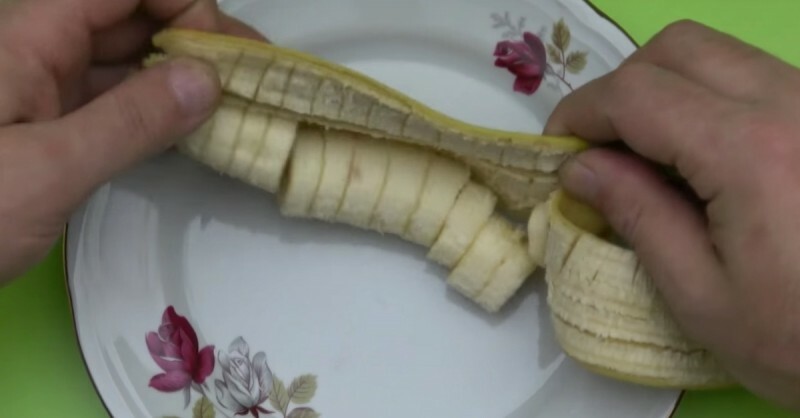 When you peel the banana, it will be ready to go in easy-to-eat slices. Put some banana peels in a container and fill it with water. The peels will enrich the water with nutrients and you can use the mix as fertilizer for your plants. Make sure that the peels are completely covered with water and that you remove the old peels and add new ones regularly to avoid mold. The ideal of course, is to use organic bananas when possible, which haven't been sprayed with any synthetic, toxic chemicals! It's always amazing to see how things that we normally throw away can be used for so many really useful purposes. So the next time you enjoy one of America's most popular snacks, hold on to that peel — there's a lot more you can do with it!